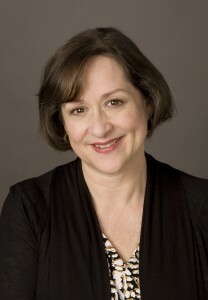 Lynne Griffin is a nationally recognized expert on relationships and family life. She is the author of Girl Sent Away–A novel (SixOneSeven Books, Nov. 2015), Sea Escape–A novel (Simon & Schuster, 2010), Life Without Summer–A novel (St. Martin’s Press, 2009) and the nonfiction guides, Let’s Talk About It–Adolescent Mental Health (SixOneSeven Books, Nov. 2015), and Negotiation Generation: Take Back Your Parental Authority Without Punishment(Penguin, 2007). Lynne teaches family studies, early childhood education, and leadership at the undergraduate and graduate levels at Wheelock College in Boston. She recently completed a second year stint as visiting scholar of education in Singapore. In addition, Lynne teaches fiction writing at Grub Street Writers in Boston, and co-created an innovative and intensive program for soon-to-be-published writers called Launch Lab. Her articles have appeared in Parenting magazine, Scholastic’s Parent & Child, The Writer magazine, The Huffington Post, The Boston Globe, The Drum Literary Magazine, and more.